This handy supplement shows students how to come to the answers shown in the back of the text. It includes solutions to all of the odd numbered exercises. 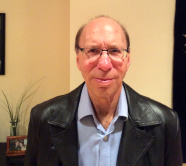 The text itself: In this second edition, master expositor Sheldon Ross has produced a unique work in introductory statistics. The text's main merits are the clarity of presentation, examples and applications from diverse areas, and most importantly, an explanation of intuition and ideas behind the statistical methods. To quote from the preface, "it is only when a student develops a feel or intuition for statistics that she or he is really on the path toward making sense of data." Consistent with his other excellent books in Probability and Stochastic Modeling, Ross achieves this goal through a coherent mix of mathematical analysis, intuitive discussions and examples. 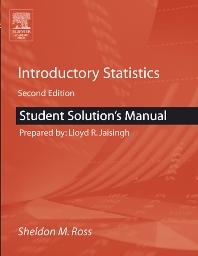 This text is written for the introductory non-calculus based statistics course offered in mathematics and/or statistics departments for undergraduate students of any major who take a semester course in basic Statistics or a year course in Probability and Statistics.